Teachers who are looking for exciting English teaching jobs in China have come to the right place. Teaching Abroad Direct has many TEFL and ESL jobs in China for you to choose from. 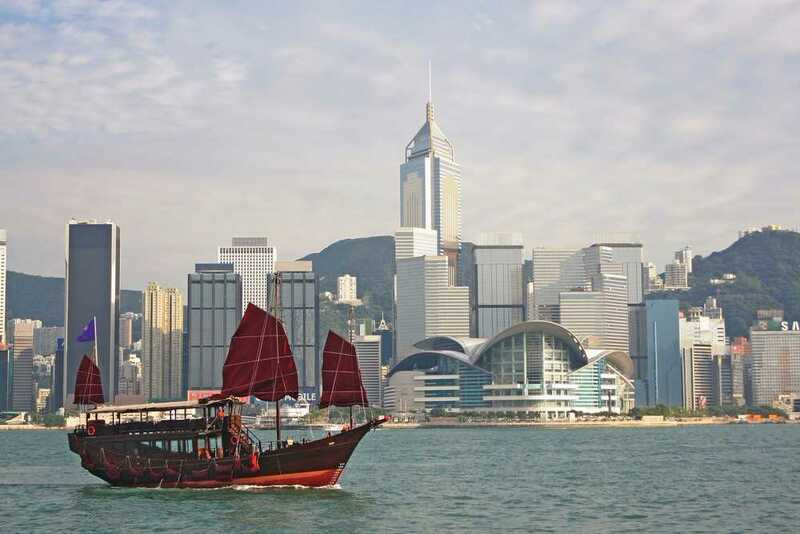 Be the lucky one to work in the heart of Asia and experience the oriental culture. TEFL Job in China - Teach English as a Foreign Language in China. One of the best things about teaching English in China is that you get much more time to explore its sights than if you were on vacation. From the historic Forbidden City to the futuristic skyline of Shanghai, you’ll discover many fabulous places, including those off the beaten track that the average tourist never encounters. Living and working in China will also give you first-hand experience of its culture. While there, you’ll learn a great deal about the Chinese way of life and its people. You’ll become familiar with its unique customs and traditions, and may even learn how to speak Chinese. Your time teaching English in China can improve your future opportunities, too. With China being one of the world’s major economies, those who have experience of working there and know the culture can be a valuable asset to organisations that have Chinese interests. Salaries and housing allowances vary from place to place, depending upon the cost of living. You could earn up to several thousand pounds a month with free accommodation on top. Although salaries are generally tax-free, you may be required to pay UK tax on those earnings, depending on how long you work abroad. There is an abundance of TEFL opportunities in China, the majority of which are with private language schools. These privately-owned schools can range in size from small, local businesses with a single classroom to international organisations that operate schools in many countries. In addition, there is work available in public schools, pre-schools and summer camps. Those with advanced TEFL qualifications can even find work in universities. TEFL often involves teaching adults as well as children and could include teaching conversational English, reading and writing, business English, English for beginners or even advanced English. Class sizes can range from one to one sessions to groups of 50 or more, however, the usual size is around 5 to 20 students. Teaching timetables vary across establishments. Most TEFL teachers have around 25 to 30 hours teaching commitment per week. In addition, time will be needed for planning, preparation and marking. Whilst those working in public schools will work similar hours to UK teachers, those working in private language schools will find themselves working later in the day, often from 2 pm to 9 pm. There may also be some weekend classes to teach as well. To teach English in China, you will need a TEFL qualification from a reputable TEFL course provider. TEFL qualifications fall into two categories: those from universities and colleges, such as degrees, post-graduate certificates and diplomas, and those from private course providers. To be valid, the course you go on needs to have a minimum of 120 hours of study. Some private course providers are registered to deliver recognised TEFL courses, such as the Trinity Cert TESOL and Cambridge CELTA, others issue their own certificates. As a rule, those wanting to teach TEFL in schools, universities and some of the higher paying private schools will need a qualification from a recognised provider. However, demand in some parts of China is so heavy that many private schools will accept other TEFL qualifications. In addition to a TEFL qualification, you will be expected to hold a bachelor’s degree. Technically, to teach English in China, you are expected to be a native English speaker. Working permits to teach English are usually only given to those who hold a passport from the following countries: UK, Canada, Australia, Ireland, South Africa, New Zealand and the USA. However, demand for English teachers means there is some flexibility in the system. Yes. In order to work in China, you will require what is known as a Z visa. A Z visa can only be obtained if you have been offered a job and both you and the employer meet specific criteria. For your part, this means having English as a first language, a bachelor’s degree and two years’ teaching experience. (While this is the official rule, high demand for TEFL teachers means that exceptions can be made.) The Z visa is only valid for 30 days after you enter the country. During that period, you will need to apply for a temporary residence permit in order to legally remain in the country. The UK Government advises you to check visa and working permit requirements with the British Embassy in China before you apply for work. Do I need background checks? If your job involves working with children or vulnerable adults, then it is possible that your employer may ask for a background check to ensure that you have no convictions which would bar you from working with those groups of people. Is China safe to work in? Nearly 700,000 UK nationals visit China each year. The UK enjoys friendly relations with China and it is considered a safe place to work and visit. However, you are reminded that the country has different laws to the UK and that you should respect Chinese customs and traditions while there. The UK Government advises that you take out comprehensive medical and travel insurance before visiting. Those who go to work there should take legal advice, both in the United Kingdom and in China, as contracts entered into in the UK are not always enforced by Chinese courts.